Classes are taught by award-winning members of Transit, the evening’s headliner, and a group of talented, local vocal teachers. New classes have been added for students who are not part of a group. Classes are presented at three skill levels covering a cappella technique, arranging, beatboxing, vocal percussion, presentation, performance prep and going pro. Each student workshop ticket price includes lunch, dinner, and a ticket to the evening show. At the end of the day, workshop students appear onstage to open the evening performance. There is a limited amount of space for groups who are interested in performing on stage. Student workshop advance ticket price is $55; day of $65. Check in for the workshop will begin at 8:00 a.m. Classes run until 5:30 p.m. followed by dinner and sound checks for the evening show. Proceeds from ticket sales will go to fund community and international projects of The Rotary Club of Mitchell Field. A portion of Milwaukappella proceeds go to the South Milwaukee Music Parents Association to support the district’s music programs. Please contact Peter May (pete@petemay.com) at the Rotary Club of Mitchell Field with general questions about the event. 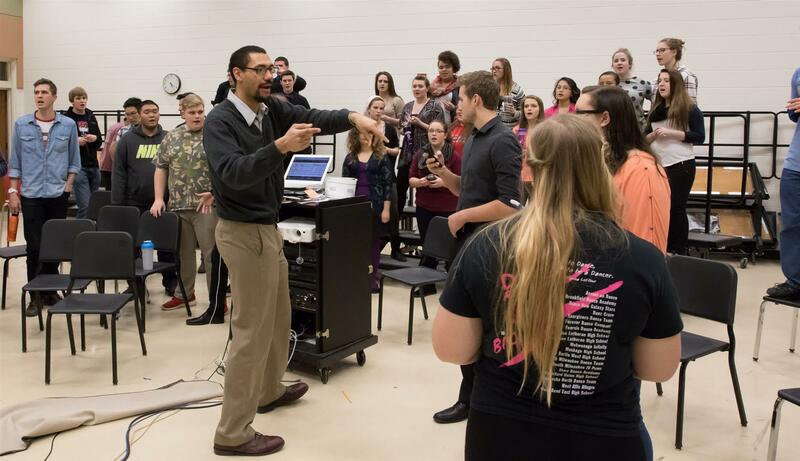 Please contact South Milwaukee High School Choir Director, Lee Stovall (lstovall@sdsm.k12.wi.us), with questions related to the workshop curriculum. If your group is interested in performing in the evening, also contact Lee Stovall as space is limited. To register for the workshop or purchase tickets for the evening performance, please go to the South Milwaukee Performing Arts Center or call 414-766-5049. Click here for information on Milwaukappella 2019.